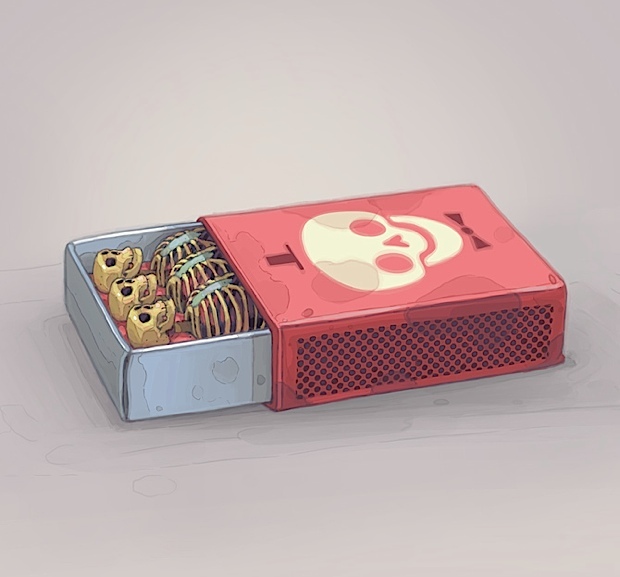 Years ago, I saved this lovely little box of skeletons by Spanish artist ARYZ, not knowing who the artist was (neither did Google image search at the time). I eventually stumbled upon the image again, properly credited, which allowed me to delve into his small scale prints and street art, all of which I was quite fond. 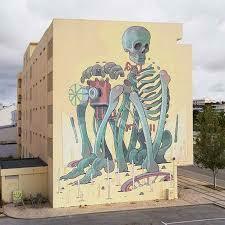 He paints giant murals, often on the sides of abandoned factories where he can have time to work undisturbed. 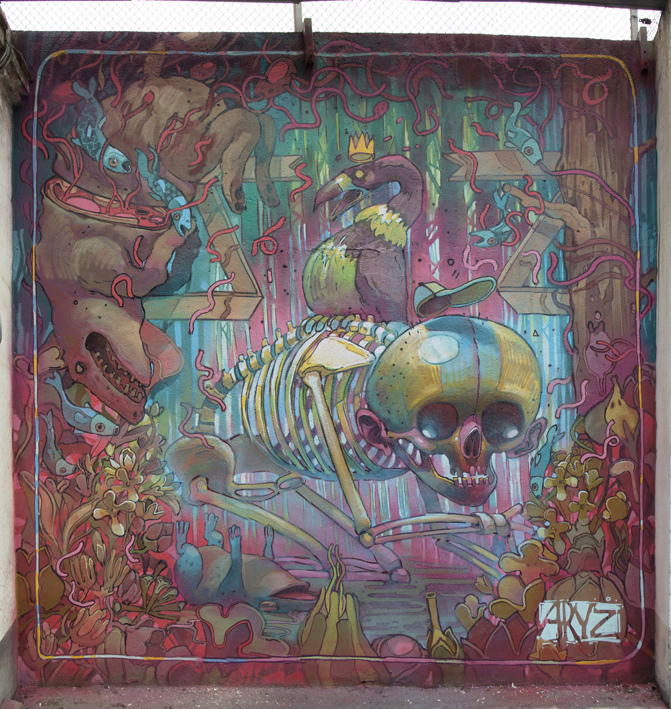 Despite the high volume of skeletons and the innards of various creatures, his work has a kind of sweetness to it at times. 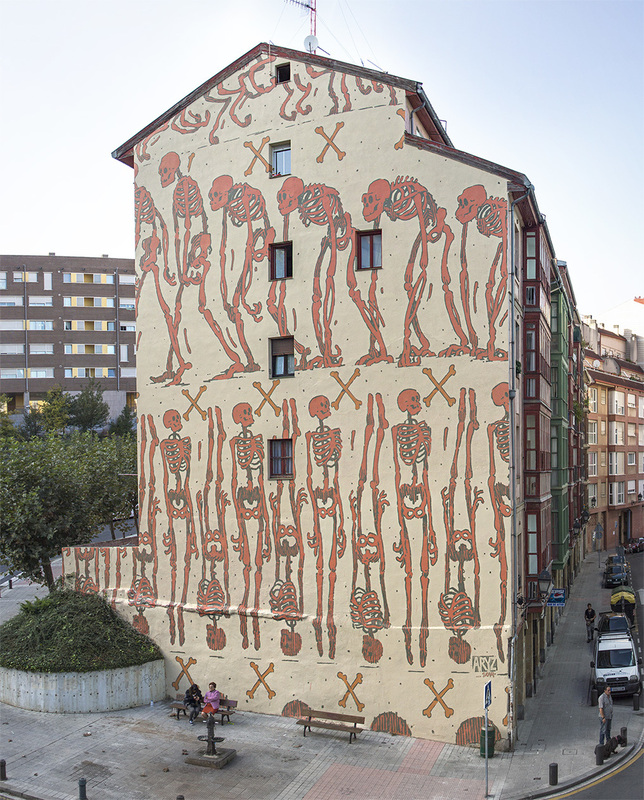 This entry was posted on September 16, 2016 at 9:12 pm and is filed under anatomy, art, street art with tags anatomy, art, street art. You can follow any responses to this entry through the RSS 2.0 feed. You can leave a response, or trackback from your own site. The website is amazing thanks for the link. Inspired! I am a teacher I showed the website to 4 classes!